The CISPA cybersecurity bill will allow any company to share your private information with the U.S Government. Please join us in contacting Congress and then recaptioning some CISPA Cats to feel better about life on this planet. Call, email, or send carrier pigeons to your local representatives and tell them NO. And this is a problem because…? What, you actually expect anything you do on a global network of millions of computers to be… PRIVATE?!? Oh, god. You’re so stupid. 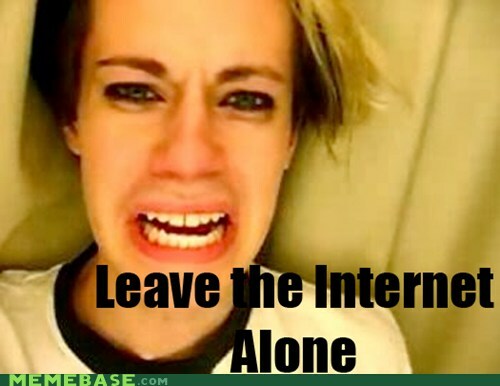 Here’s an idea… If ICHC is so concerned about our right to privacy… stop forcing us to use Facebook to comment on lols. How about actually practicing what you’re trying to preach here? I had not hear about CISPA til I saw this and when I looked it up it sounds like the various cyber security initiatives are all piling up in the Senate. I find it interesting the MS and FB both view this as beneficial from a corporate standpoint and would be willing to trade individual rights to privacy.